The Parliamentary proceedings of Sri Lanka known formerly as Ceylon have been the focus of my interest from a fairly early age. It began when I was in the Upper-fourth D class (Grade seven) at St. Thomas’ College Mt.Lavinia in 1966. Our English teacher Mrs. Fernando advised us at the beginning of the year to regularly read and comprehend the Parliamentary proceedings published in newspapers . She said by reading the views expressed and exchanged during Parliamentary debates and discussion, we as students could improve our English and enhance our general knowledge about important contemporary issues. I dutifully followed her advice. In those days the “Daily News” would publish pages and pages of Parliamentary proceedings. Parliamentary speeches delivered mainly in English by the Parliamentarians of yore would appear in full in the paper. So too would English translations of speeches made in Sinhala and Tamil. I started reading those pages of speeches (some were dreary and dull) with the aid of a Chambers school dictionary presented by my Parents. In the beginning I could not understand a lot of what was said and I would ask my Father for further explanations. As time went on and I too grew in years I began understanding and even relishing those speeches fully. Sadly as the years progressed the quantity of MP’s increased while there was a qualitative drop. Many of the giants got defeated at the polls in each election. Meanwhile Parliament too shifted from the vintage colonial structure at Galle Face to a brand new modern edifice at Duwa in Kotte. The old order of MP’s gave way to a newer breed. Some erudite Parliamentarians certainly entered the House from time to time. There were occasional flashes of brilliance in arguments and repartee. Some MP’s did make excellent speeches that continued to enlighten people such as me. But these were few and far between. An overall decline of Parliamentary speeches was visible and audible. I am not referring to the fact that speeches were being delivered less in English and more in Sinhala and Tamil. What I mean by a drop in standards was the substance and style, the content and tone in speeches. There was a conspicuous contrast between past and present in Parliamentary speeches. This was reflected in the newspapers too. With the price of newsprint rising, newspapers could no longer publish Parliament speeches in full as they had done earlier. More importantly there were few speeches that were worthy of being published in full. So Parliament reports became reduced in size. Even then they were generally insipid.Very few of those speeches were interesting or informative. By the time I entered Journalism and did an occasional stint of Parliament reporting, ( I was never a Parliamentary correspondent) coverage of Parliament had become sheer drudgery. Still we went to Parliament because we were assigned to do so by our Editors. As for me , Parliament was a place where you could eat superb food, socialize with fellow scribes and engage in conversations with MP’s when pursuing a news story. Senior Parliamentary reporters would frequently take a nostalgic trip to the past and regale us younger journalists with anecdotes about the giant Parliamentarians of the past. Some could even quote passages from old speeches or extracts from the verbal duels between the by gone Titans. They would yearn nostalgically for the glorious past and we would sigh for those long gone days. Veteran Parliamentary interpreters too would share their experiences. Some Tamil -English interpreters like Sellappa Nadarajah and Thambippillai would tell me what an intellectual challenge and aesthetic pleasure it was to interprete those speeches from one language to another. This was in the latter part of the eighties in the twentieth century. I relocated to Canada and am now following Sri Lankan parliamentary proceedings mainly on the internet because it is necessary to keep track of what is happening there to understand contemporary Lankan politics. One is able to discern that Parliamentary reporters are struggling to write good copy out of not so good speeches. The Lobby column which was the jewel in the Parliamentary reporting crown seems non -existent. I see only Chandani Kirinde of “Sunday Times” trying valiantly to keep the flag flying every week. I am reminded of my departed friend and colleague Ajith Samaranayake whose lobby columns in the “Daily Observer” were avidly read by me before I had become a journalist. I once told Ajith that I did not enjoy his lobby columns as I had done earlier. The gentle Ajith who seldom spoke derogatorily of anyone simply said “That is because nowadays I have nothing much to write about no men?. This then encapsuled the decline in Parliamentary speeches and by extension the Parliamentary standards. This slow and steady deterioration of Parliamentary standards was explosively exposed to the world at large by the recent happenings in the House by Diyawanna Oya. While the rowdyism displayed by some MP’s was deplorable the Cardinal sin was the premeditated organised attempt to attack the Speaker physically. The sordid events that took place on “Black Friday” in the House by the Diyawanna Oya reveal very clearly that a group of parliamentarians engaged in a pre-planned conspiracy to humiliate and physically attack Speaker Karunarathne Jayasuriya, known generally as Karu Jayasuriya. So serious was the situation that for the first time in Lanka’s Legislative history, the Honourable Speaker had to be escorted into the Chamber and later outside by the Police. The threat posed was not from external elements but by so-called representatives of the people ensconced within the portals of Parliament itself. Not all the waters of Diyawanna Oya will be sufficient to wash off the black mark imposed on 16 November 2018. What makes the attack on the speaker most terrible is the symbolic impact of that dastardly act. In recent times , some of the words and deeds of Speaker Karu Jayasuriya have been termed controversial. As is the rule in most disputes there is one school of thought which supports the speaker while another is critical of him. The crux of the matter however is that even if – and that is a very big IF – Karu was wrong and had acted incorrectly, there is no justification for an organized attack on him. The speaker symbolizes Parliamentary democracy and an attack on the speaker can only be construed as an assault on Parliamentary democracy. The chain of events ensuing from the time President Maithripala Sirisena arbitrarily removed Prime Minister Ranil Wickremesinghe and replaced him with ex-president Mahinda Rajapaksa is now well-known. So too are the details of the Constitutional crisis that Parliament in general and the speaker in particular are currently embroiled in. What this writer intends at this juncture is to focus on the historic importance of the Speaker in a Parliamentary democracy and provide an overview of the speakers who have held such office in Ceylon/Sri Lanka from Sir A. F. Molamure to Karu Jayasuriya. An interesting aspect of the roles played by various speakers in the past is that several of them irked the powers that be through their sturdy independence and firm adherence to the powers and privileges of Parliament. In that context Karu Jayasuriya is not the first speaker to speak truth to power and hopefully he wont be the last either. The office or institution of speaker is of crucial importance occupying a pivotal position in a Parliamentary democracy. So respected is the position that MPs refer to him or her as “Honourable Speaker” or “Mr/Madam Speaker”. It has been said of the office of the speaker that while the members of Parliament represent the individual constituencies, the Speaker represents the full authority of the House itself. He or she symbolises the dignity and power of the House over which he or she is presiding. There have been occasions when the Speaker has acted as head of State. In terms of Protocol the Speaker ranks as the fourth highest in the land. India’s first Premier Jawarhalal Nehru Summed up the position and role of the speaker best when he observed: “The Speaker represents the House. He/she represents the dignity of the House, the freedom of the House and because the House represents the nation, in a particular way, the Speaker becomes a symbol of nation’s freedom and liberty. 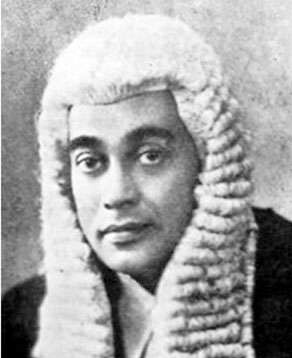 Therefore that should be an honoured position, a free position and should be occupied always by persons of outstanding ability and impartiality” .Viewed against the backdrop of Nehru’s comment extolling the symbolic importance of the speaker the attack on Sri Lanka’s speaker Karu Jayasuriya could be construed as an affront to the dignity and freedom of Parliament and also a symbolic insult to a nation’s freedom and liberty. The Speaker of a legislative body, is its chair or the presiding officer. Contrary to what the title of Speaker suggests, the speaker does not speak or participate in a debate. The term speaker was first used in England in 1377. The speaker’s role has evolved over the centuries in the mother of all parliaments. Though the monarch’s servants in the earlier stages, the role of the speaker got transformed as a result of the power struggle between sovereign and legislature. The defining moment came in 1642 during Charles the first’s reign. King Charles entered parliament demanding the arrest of five parliamentarians opposing him. The Speaker William Lenthall knelt before the monarch respectfully but firmly refused to hand them over. He said that he was only the House’s servant and would only follow its direction. Today speakers face no danger as in those times. Their role has changed too. They remain at the centre of debate between opposing sides but are more like umpires. Their chief role is to enforce the rules of parliamentary procedure and oversee parliamentary administration. Speakers are also guardians and defenders of parliamentary privileges and the rights of parliamentarians. The sanctity and supremacy of parliament cannot be maintained by written law or procedure alone. It also depends on the behavioural norms of legislators. Constitutional conventions have contributed greatly to enhance and preserve the dignity of the Speaker’s office.One such tradition being followed even now is that of the proposer and seconder of the winner escorting the newly elected Speaker to his chair. The speaker is in a sense the official parliamentary spokesperson. The custom of electing a speaker began in the British parliament during the 14th Century. The earlier speakers were those who conveyed the monarch’s commands to parliament and parliament’s wishes to the sovereign. The speaker’s role was hazardous in those days. Six speakers lost their lives in the early days because of the emerging conflict between monarch and parliament. SSome speakers were beheaded for bringing ” bad news’ from parliament to the monarch. Thus many speakers had to be forced in taking office. Nowadays there is no such danger but newly elected speakers in some Western legislatures commemorate this tragic yet proud aspect of institutional history by pretending to struggle as they are led ‘reluctantly’ to the speaker’s chair . In Sri Lanka we still maintain the tradition of proposer and seconder ‘escorting’ the new speaker. But he does not pretend to struggle.Thus we saw the current speaker Karu Jayasuriya being escorted to the chair by the proposer Ranil Wickremesinghe and the seconder Nimal Siripala de Silva. (However after the hazardous experiences encountered by Karu Jayasuriya, future speakers may really be reluctant and would have to be forced to take office. Sri Lanka or Ceylon as it was known earlier has had Speakers from the time we got universal franchise and territorial representation in 1931 under British rule. The Donoughmore Commission ushered in the right to vote for all men and women over the age of 21.It abolished the system of communal representation in favour of territorial representation and introduced electorates. Fifty electorates were demarcated and elections were held in 1931 for the legislature known then as the State Council. Another eight seats were set up for Europeans in the council. The party system had not taken root then and candidates contested as individuals. Following British tradition elections to the office of Speaker was set up to preside over sessions of the State Council the first Speaker of which in colonial Ceylon was Sir Alexander Francis Molamure. He was the first Speaker of independent Ceylon too. This incident and certain other personal matters of a financial nature created a situation where Sir Francis Molamure opted to quit. He absented himself from State Council proceedings for three months and then resigned as Speaker on personal grounds. Sir Molamure did not contest Dedigama in 1936. Dudley Senanayake contested and won in Dedigama at the 1936 State council elections. Sir Francis Molamure re-entered the State Council in 1943 through the by election at Balangoda where he defeated Sirima Bandaranaike’s father Barnes Ratwatte Dissawe by a majority of over 17,000 votes. The new State Council elected in March 1936 saw Waithilingam Duraiswamy representing Kayts in the north becoming Speaker. Subsequently he too was knighted and became Sir Waithilingam Duraiswamy. Duraiswamy’s election had an ulterior purpose. It was in 1936 that D.S. Senanayake and Sir Baron Jayatilleke mathematically manipulated the executive committee election system through a permutation – combination formula and got a board of ministers elected comprising only Sinhalese . Since Duraiswamy’s stature entitled him to a ministry appointing him Speaker was the only way to keep him out of the seven member “Pan – Sinhala” board of ministers. Ceylon gained dominion status in 1947 and elections were held for the first time to the House of Representatives or Parliament. Sir A.F. Molamure who re- entered the State Council in 1943 through Balangoda won the same electorate contesting on the UNP ticket in the 1947 election s. While the UNP proposed Sir Francis Molamure as Speaker, the Opposition consisting of leftists, independents and MP”s from the All -Ceylon Tamil Congress and Ceylon Indian Congress nominated the independent member from Kurunegala, H. Sri Nissanka for the post of Speaker. Molamure beat Sri Nissanka by 58 votes to 41 and became the first Speaker of Independent Ceylon. Unfortunately Sir Francis Molamure died in harness in January 1951. Actually he collapsed while being seated in the Speaker’s chair. He was hospitalized and passed away two days later.The Deputy Speaker Albert Peiris representing Nattandiya succeeded him. Subsequently he too was knighted and became Sir Albert Peiris. Ceylon’s first prime minister D.S. Senanayake died in March 1952 and his son Dudley became premier. Dudley Senanayake dissolved Parliament in April and went to the polls the same year. There has been a tradition in the UK of an an incumbent Speaker being uncontested in a parliamentary election. Newly independent Ceylon tried to emulate Britain in this practice in 1952. When Albert Peiris contested again in Nattandiya in 1952 , no registered political party fielded a candidate against him. However an independent candidate W. I. Hugh Fernando not only challenged Albert Peiris but also gave him a huge fright. Albert Peiris squeaked to victory over Hugh Fernando with a meagre majority of only 306 votes in a straight fight. Sir Albert Peiris was elected Speaker again and the UNP Member of Puttalam, Hameed Hussain Sheikh Ismail became the deputy speaker. When elections were held again in 1956 Sir Albert Peiris contested again on the UNP ticket from Nattandiya. All political parties refrained from pitting candidates against him. Hugh Fernando however contested again as an independent and defeated Albert Peiris by 3097 votes. Deputy Speaker H.S.S. Ismail had contested as an independent candidate in Puttalam and won. The new premier, S.W.R.D. Bandaranaike opted to have Ismail as Speaker. Thus the country got its first Muslim Speaker. Ismail served from March 1956 to December 1959. He did not contest the elections in 1960. The March 1960 elections saw the UNP get 50 and SLFP 46 in a 157 -member Parliament of 151 elected and 6 appointed MP’s.Dudley Senanayake formed a minority govt in a hung parliament.The first trial of strength was the Speaker election. The UNP proposed Nattandiya MP Sir Albert Peiris. The Opposition nominated T.B.Subasinghe the Left leaning Independent MP from Katugampola. Sir Albert got only 60 votes while Subasinghe obtained 93 and became Speaker. When the new government’s throne speech was presented it was defeated by 85 votes to 61. Parliament was dissolved and fresh elections were held in July 1960. The SLFP formed the Govt in July 1960 and Mrs. Sirima Bandaranaike became the world’s first woman prime minister. Kandyan stalwart and Nawalapitiya MP Pelpola became Speaker. R.S. Pelpola resigned as Speaker in 1964 and was appointed Minister of Posts and Telecommunications in Mrs.Bandaranaike’s Cabinet.He was succeeded by Deputy Speaker Hugh Fernando who was now representing Wennappuwa in Parliament. Mrs. Bandaranaike’s government was irritated and proceeded to move a resolution that the Speaker’s ruling was wrong. Dr. N.M. Perera then finance minister, even threatened Hugh Fernando with a potential no confidence motion. Ministers Michael Siriwardene and D.S. Goonesekera invaded the Speaker’s chambers and tried to intimidate Fernando. When Opposition Leader Dudley Senanayake raised a point of order, the Speaker ruled that a Speaker’s decision cannot be questioned. Later Hugh Fernando was to say that this crisis period made him subject to the severest strain in his life. Hugh Fernando later crossed over to the UNP and contested the Nattandiya by election after Albert Peiris died. Fernando won and became a minister in a UNP Govt. The 1970 United Front(UF) government saw Stanley Tillekaratne representing Kotte become Speaker. It was rather ironic because Stanley though in the SLFP then had earlier been a Communist Party MP with a reputation for persistent heckling in Parliament. Now he had to maintain decorum in the House. Stanley Tillekaratne too was subjected to government bullying in 1973 when Cabinet minister Dr. Colvin R. de. Silva warned him publicly during the press takeover issue that Parliament could remove the speaker for “some reason, any reason or no reason at all”prior to the speaker’s ruling. Regardless of Colvin’s threat, Stanley too remained firm and gave his independent ruling on the matter. However to the credit of Colvin, he told Stanley afterwards “ Mr. Speaker, we completely disagree with the ruling you have given but since it was from the Chair, we bow to it”. Those were the salubrious days of Parliament. Stanley Tillekeratne also achieved special kudos as being the only one to chair a constituent assembly. 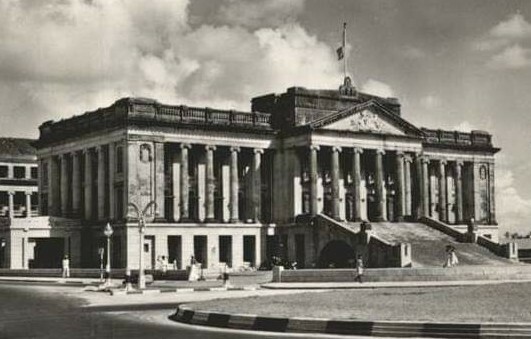 The UF Govt converted Parliament into a constituent assembly (Different from today’s Constitutional Assembly) in order to draft the Republican Constitution. As Speaker, Tillekaratne also headed the assembly to draft a new constitution. Following the adoption of the new constitution of the Socialist Republic of Sri Lanka, the legislature was re-named National State Assembly. Stanley Tillekaratne became Speaker of the First National State Assembly (NSA) in May 1972 and remained so till the fresh elections in July 1977 . The UNP led by Junius Richard Jayewardena swept the polls in July 1977 winning 141 of 168 seats in Parliament and once again the MP for Kotte was elected Speaker. Only this time it was not Stanley Tillekaratne but Anandatissa de Alwis of the UNP. This was another first time achievement as Anandatissa de Alwis had never been elected to the legislature before. Earlier in 1965, he had become the first non-civil servant to be permanent secretary of a ministry under then Minister of State J.R. Jayewardene. Now he had become Speaker in his maiden stint as MP. Anandatissa de Alwis served as Speaker of the then National State Assembly (NSA)until September 1978 when the new Constitution of Democratic Socialist Republic of Sri Lanka came into force. This saw the NSA revert back to parliamentary status. Anandatissa de Alwis remained as Speaker of the new Parliament for a week and then resigned to become Minister of State in the JR Jayewardena Govt. The Minister of State portfolio was a full fledged Cabinet minister post and is not to be confused with the state minister posts currently in vogue.Thus, Anandatissa de Alwis like his predecessor Stanley Tillekaratne became one of two who functioned as Speakers of both the National State Assembly as well as Parliament.Likewise Sir AF Molamure is the only person who was speaker of both the State Council and Parliament. The new millennium in 2000 witnessed what was then the rare spectacle of both government and opposition electing a consensus candidate as Speaker. That singular honour went to Chandrika Kumaratunga’s brother and Ranil Wickremesinghe’s old school chum Anura Bandaranaike. The PA govt had won the elections with a slender majority.Though Anura was then in the UNP and therefore in the Opposition, Chandrika and Ranil agreed to make Anura the Speaker, much against the wishes of party stalwarts on both sides. A crisis arose when Kumaratunga prorogued Parliament after she lost her majority. Efforts were on to impeach her and the then Chief Justice Sarath Silva. Sarath Silva tried to restrain the speaker from accepting the impeachment motion.Though initially hesitant, Anura Bandaranaike ruled later that Parliament was supreme. He said the Supreme Court had no jurisdiction to issue interim orders restraining the Speaker in respect of the steps he is empowered to take under Standing Order 78 (aAs stated esrlier. the ruling was prompted by the issue of a restraining order on Speaker Anura Bandaranaike by then Chief Justice Sarath N. Silva because there were moves for an impeachment motion against him (Silva) in Parliament. By then, no motion was placed on the Order Paper and only signatures were being collected. The restraining order was based on two fundamental rights petitions heard by a Supreme Court bench presided by then Chief Justice Silva himself. However, the motion did not materialise since the then President Chandrika Bandaranaike Kumaratunga later dissolved Parliament. Summarising his decision, Speaker Anura Bandaranaike declared that: 1. The Supreme Court had no jurisdiction to issue the interim orders restraining the Speaker of Parliament in respect of the steps he is empowered to take under Standing Order 78(a). 2. The interim orders dated June 6, 2001 are not binding on the Speaker of Parliament. 3. There are no legal obligations to comply with the said orders.. Later Anura crossed over to the PA after Parliament was dissolved. December 2001 elections saw the UNP led UNF win.Ranil Wickremesinghe became premier while Chandrika Kumaratunga remained executive president while Gampaha District MP, Joseph Michael Perera was elected Speaker. During his term of office Joseph Michael Perera made a controversial ruling where he emphasized that the President could not unilaterally prorogue Parliament.The Speaker’s (Joseph Michael Perera)ruling reiterated the position that the executive power of the people is vested in the president and Article 70 of the Constitution confers on the president the power to summon, prorogue and dissolve parliament. However, Article 70 of the Constitution, Perera ruled cannot contravene Articles 3 and 4 of the Constitution. This makes it clear that this aspect of the president’s power is not an attributive of his executive power set out in article VII, but rather an administrative function vis-a-vis parliament.The exercise of the power to summon, dissolve and prorogue must therefore always be exercised in consultation with parliament and this function must be accepted at all times as being subordinate to the legislative power of the people conferred on parliament by Article 4 (a). Joseph Michael Perera therefore determined that were it not so, it would lead to a situation where one arm of government is able to completely suppress another equal, but separate arm. Interestingly Joseph Michael Perera’s ruling features prominently in the current situation where President Sirisena arbitrarily prorogued Parliament without consulting the Speaker. Political cohabitation came to an end in 2004 and Parliament was dissolved by the then president Kumaratunga. Elections were held and the SLFP led United Peoples Freedom Alliance(UPFA) came to power The communisxt party’s .D.E.W. Gunasekera’s name was proposed as Speaker by the UPFA. However, the Opposition nominated UNP’s Badulla District MP, W.J.M. Lokubandara instead of the incumbent Speaker Joseph Michael Perera. Though Perera could have been fielded as a speaker candidate, a change was necessitated due to political exigencies. Joseph Michael Perera was a Catholic. Given the rising tide of anti-Christian feeling among sections of the Buddhist clergy and laity prevailing at the time, a man like Lokubandara with impeccable Sinhala Buddhist credentials was seen as more suitable. The phenomenon of nine Buddhist priest MPs of the Jathika Hela Urumaya (JHU) holding the power balance in a hung parliament saw the need for an avowed Sinhala Buddhist nationalist like Lokubandara as opposition candidate for Speaker. It was hoped that Lokubandara could win Jathika Hela Urumaya support or at least ensure their neutrality. The election results indicated that the stratagem succeeded to a great extent. W. J. M. Lokubandara became Speaker after a bitter and closely contested election. He won with one vote (110-109) in a tussle that went down as as a shameful episode in the parliamentary history of this country. In a fracas occurring while Parliament was in session , a Buddhist monk MP was manhandled by a group of MP’s. The chief culprit in this instance was the infamous Mervyn Silva. The previous Parliament saw Hambantota District MP Chamal Rajapaksa become Speaker. It was a time when the Rajapaksas of Ruhunu were riding high with Chamal’s younger brothers Mahinda , Basil and Gotabhaya being the President, Cabinet Minister and Defence Secretary respectively. It was during Chamal Rajapaksa’s tenure as that Parliament impeached Chief Justice Shiranee Bandaranayake.Chamal Rajapaksa completed his full term as Speaker from April 2010 to June 2015. Mahinda Rajapaksa was defeated by Maithripala Sirisena in the presidential poll of Jan 2015. Parliamentary polls in August 2015 saw the UNF forming the Govt.Karu Jayasuriya became speaker in August 2015 as the latest in a long line of illustrious Speakers who have served the legislatures, people and country for nearly a century. Fate seems to have decreed that Karu Jayasuriya should don the mantle of speaker when parliamentary democracy was facing danger. Karu Jayasuriya in his capacity as Speaker has given courageous leadership to those resisting unconstitutional moves by the Maithripala-Mahinda duo to seize de jure and de facto control of Parliament! He has even risked physical danger to himself in doing so. Karu has refused to be cowed down by the “terror tactics” of pro-Mahinda MPs. Karu Jayasuriya’s strength and courage to stand firm in this exercise in the face of violent hostility from the Maithripala-Mahinda forces is derived from his belief of being morally and legally correct. Karu Jayasuriya is fighting this political battle with the noble aim of safeguarding parliamentary democracy. His courageous defiance of Mahinda Rajapaksa’s MP’s in Parliament is a key element of this fight. It is the outrageously anti-democratic power grab – aided and abetted by Maithripala – of Mahinda Rajapaksa that has impelled Karu to enter the fray and spearhead opposition to the illegal attempts. Karu Jayasuriya by his courageous defiance of Maithripala and Mahinda has demonstrated that he is no pushover as envisaged by his political adversaries. Moreover, his brave conduct in these dark times may result in posterity acknowledging Karu Jayasuriya as the most heroic Speaker in Sri Lanka’s Parliamentary history.